Discover Mallorca by rental car and enjoy beautiful places that you would not be able to reach without a car. Compare Car Hire in Mallorca and save on your car rental bookings with our great car hire comparison. On our website you will find offers for car hire in Mallorca from all major car rental companies such as Europcar, Tui Cars, Alamo or Goldcar. Compare offers from different car rental companies and find the best deal for you at the car rental company of your choice. Book well in advance of your trip so that you can benefit from early booking prices for your rental car in Mallorca. We recommend that you book online as early as possible before your holiday on Mallorca. In order to reach the great sights, beaches and villages, it is possible to rent a car in Mallorca. Whether small cars, sports cars or convertibles: with the rental car you are really flexible on the Balearic island. On Mallorca's island, you can rent a cheap small car from brands such as Smart, Fiat or Ford. In the mid-size and compact car segment, Mallorca also offers cheap offers for rental cars from BMW, Citroën and Opel. In Mallorca, rental car brokers such as Car Del Mar, Sunny Cars or Tui Cars provide rental cars. Car rental companies such as Hertz, Avis and Europcar also rent a car in Mallorca. There are many car rental stations on Mallorca. You can pick up your rental car on the Balearic Island in the south of the island, for example in Palma de Mallorca, at the airport Mallorca or at the Peguera. On the east coast of the island you can pick up your rented car in Cala D' Or or Cala Millor. And of course there are also car rental stations at Alcúdia in the north. If you do not want to charge your credit card unnecessarily, we also have rental cars on Mallorca without deposit. Simply select the option that best suits your needs. If you want to explore the island on two wheels, you can also rent scooters on Mallorca. The beautiful country roads invite you to enjoy beautiful scooter rides. Being mobile on the largest Balearic island is a practical thing. If you are renting a car on Mallorca you should pay attention to some things which we explain to you here. It's best to start planning your holiday at an early stage and rent your rental car from Germany. If you want to book a rental car for Mallorca, it is worthwhile to use the Driveboo price comparison. In our transparent online comparison website, you can compare the offers of all major and minor car rental companies in Mallorca. This way you get a good picture of the offers and can book the car rental in Mallorca that suits you best. Our tip is: Look for special offers at an early stage, as the prices for rental cars generally rise sharply shortly before your holiday. Another expert tip from us is that you already take out a comprehensive insurance policy with no excess at the time of your online booking. If you only take out the insurance locally, it is usually much more expensive. We wish you a lot of fun while renting a car in Mallorca! 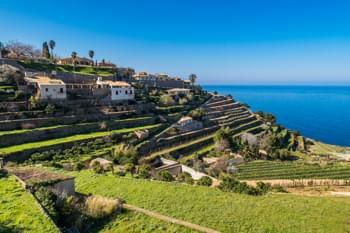 Mallorca is an island in the Mediterranean Sea that belongs to Spain and is about 170 km away from the Spanish mainland. The island measures 98 kilometres in its east-west extension and 78 kilometres from north to south. 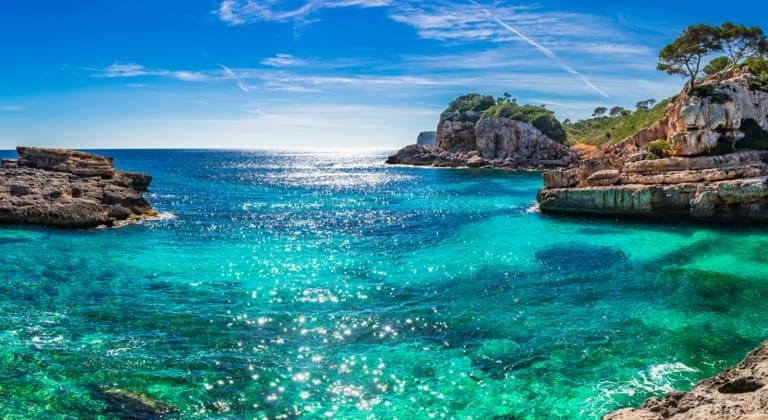 This makes Mallorca the largest island of the Balearic Islands, which consists of the islands Menorca, Ibiza, Formentera and Cabrera. With this still manageable size, it is easy to book a rental car for a holiday on Mallorca and to explore the many little surprises this island has to offer . You can pick up your rental car right after arrival at Palma de Mallorca airport. Mallorca is therefore such a popular tourist destination, as the island is equipped with a great variety. Party life as well as family holidays, beaches and mountains, idyllic landscapes and lively resorts make the island a perfect mix. For a rental car tour we recommend a price comparison done already in advance of your travel to Spain. 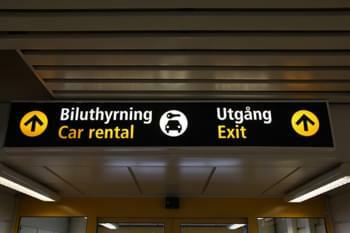 You can then already pick up the rental car at the airport and early booking is usually cheaper. In addition, you can also avoid possible cost traps such as overpriced tank fillings or unnecessary insurances. You will find the experiences of other car rental travelers in Mallorca in the numerous reviews of our customers. There you will be able to obtain comprehensive information based on the experiences of other travellers. With a rental car you are flexible on Mallorca and experience the island in a very different way than just from your hotel. Use the Driveboo price comparison to find the perfect rental car for you at the best price. But not only the price is important for a cheap rental car in Mallorca. To avoid unpleasant surprises, there are a few things to consider. In our blog article we give recommendations on how to avoid cost traps and hassle with your rental car in Mallorca. For those who prefer more action, Palma de Mallorca is the capital of the island. With approximately 400,000 inhabitants, the city accounts for almost 50 percent of the island's population. So you can be sure that a lot of things are offered here. If you are going on a city tour, you should definitely visit the city's main attraction, the Gothic cathedral La Seu. If you like it, you will find 31 other Gothic churches, such as the Basilica of Sant Francesc, in Palma de Mallorca's old town. However, the old town is generally worth a visit with its Spanish-Catalan and Arabic influences and invites you to stroll through the narrow alleys, some of which are only connected by stairs. In the immediate vicinity, directly behind the harbour, there is another highlight which must be visited: the medieval castle Castell de Bellver. The Paseo Maritimo beach road in the south of the city is a particular pleasure for motorists. Our tip: Outside rush hour, the car journey is much more stress-free than during rush hour. After all, Palma de Mallorca is the city with the highest traffic density in Spain. One of the main reasons why Palma de Mallorca is a tourist destination is surely the ballerman. 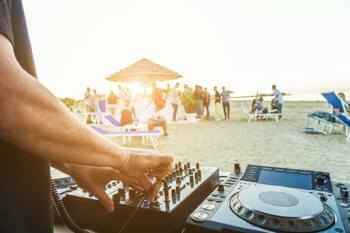 After all, what would a Majorca holiday be without party and nightlife? On the beach section El Arenal it goes from morning till late at night. Also because drinking on the beach has been banned in the meantime, the party on Mallorca has shifted even more into the bars and clubs. No matter if Ballermann 6 or Bierkönig: Here you will find sangria, beer, pop performances and party mood. However, if you really want to make a splash at the Ballermann, of course you should just leave the rental car at the parking and walk to the party area. We recommend: Don't Drink and Drive! The Cathedral of Palma de Mallorca, on the other hand, is more contemplative. It is a real landmark of the Balearic capital. The Cathedral of the diocese of Mallorca is often colloquially simply called La Seu - which in Catalan means "the diocese". The foundation stone for the monastic church building was laid in the 13th century. 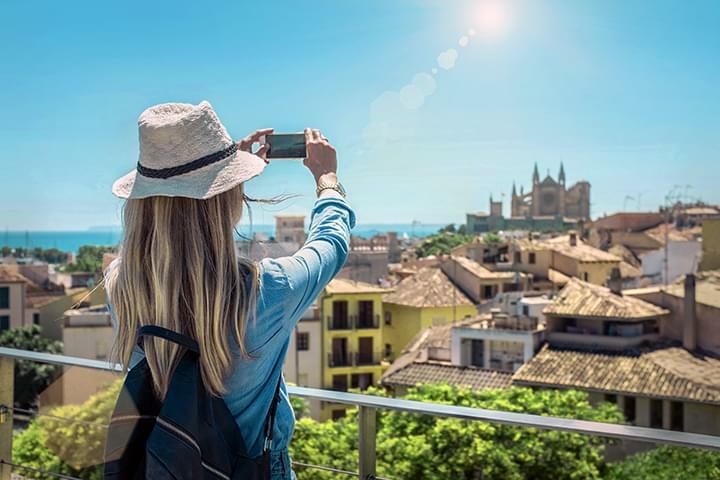 Centuries of construction and restoration work have made it possible to admire the Cathedral of Mallorca Silrichtungen from Moorish architecture to Gothic, Renaissance, Classicism and Art Nouveau Antoni Gaudís. If you are travelling with a rental car in Mallorca, you should not just drive past here. The scenery of the Tramuntana Mountains shows a completely different side of the beautiful Mediterranean island Mallorca than the busy party area at Ballermann. The mountains quickly make everyday life disappear from people's minds and the tranquillity of Mallorcan country life brings energy to your body and soul. The natural beauty of the mountain range and its cultural importance are rightfully listed as a UNESCO World Heritage Site. Here, holidaymakers experience a unique and authentic natural and cultural landscape. The landscape is characterized by a rich and rough fauna and flora. The best way to experience it is to follow one of the many hiking trails through the mountains. Old wall remains can also be found on the road. Music plays an important role in the cultural heritage of the region. This is also evident in many concerts and performances during the year. Even the great composer Frédéric Chopin could not escape the charm of the Serra de Tramuntana. Tourists have discovered the landscape since the 20th century. The holidaymakers come to the mountains to enjoy the landscape while hiking and to be enchanted by the small villages. The villages in the Serra de Tramuntana are easily accessible by rental car via mountain roads. The view over the sea is also worth a visit. Appropos sea: Also in the Serra de Tramuntana there are wonderful beaches and bathing bays like the Cala Fornells or the Calla Tuent. Spring also has a lot to offer on Mallorca. Especially the almond blossom is a wonderful reason to travel at mild temperatures. 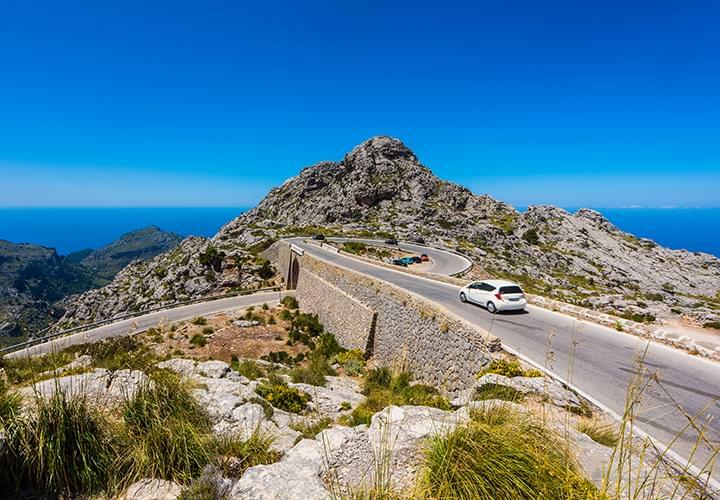 If it is still cold, wet and uncomfortable in norther Europe in February and March, the Balearic island has the perfect weather to explore Mallorca by car. In our blog article we will explain how you can experience the almond blossom with a rental car, when the best time to travel and where you can find the most beautiful sea of flowers on Mallorca. For example, rent a car and make an excursion to the northernmost point of the island, Cap Formentor. The road along the peninsula is one of the most beautiful and spectacular routes in Mallorca. During the trip you can admire a unique landscape and be accompanied by a breathtaking view of the sea. The mountainous northwest with altitudes between 1070 and 1535 metres offers a great view over the whole island. The numerous small bays are also particularly inviting, which you can discover on your own with the rental car. Just drive with your family directly to the most beautiful beaches in Majorca with the rental car. 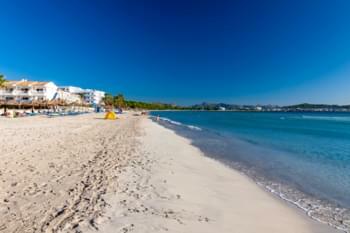 For example, the beautiful beach of Puerto de Alcúdia, which is very close to Cap Formentor. Majorca's most beautiful beaches can be found all over the island and are perfect for exploring with a rental car. In the east, for example, Cala Torta and Cala Mesquida are hidden. Cala Torta is especially popular with water sports enthusiasts and surfers because of the winds and waves. The Cala Mesquida, on the other hand, is located in a nature reserve and still offers all the comforts for tourists. With six kilometres, Platja es Trenc is the longest natural beach in Mallorca. White sandy beach and turquoise sea - it feels like the Caribbean. The Cala Agulla is located a little bit more remote in the north and is not directly accessible by rental car. Rather, the bay is connected with a hiking trail through dunes and woods. Not to be underestimated are the long beaches of Cala Millor. At 1800 metres above sea level, you can tan, swim and exercise directly on the promenade. Fun for the whole family is guaranteed by a trip to the Safari Zoo at Sa Coma, in the east of the island. You can even drive through the park completely with your rental car. But also a trip to the Cuevas de Arta or the Cuevas del Drach - both impressive stalactite caves - is worthwhile. Rent a rental car in Mallorca and drive to dreamy places on the Balearic Island. You will be amazed what you discover! Each village has its own character and atmosphere. In the west of Mallorca, the picturesque village of Sóller invites you to stroll through the small alleys. If you prefer a more mountainous route, or would like to cycle, you should take a tour to the idyllic mountain village of Valldemossa. Also in the mountains lies the picturesque Banyalbufar. In addition to small village shops and great views, the local vineyards and wineries are a great destination for excursions by rental car. Viniculture is also available in Binissalem. The village is very centrally located on the island and can therefore be easily reached from all directions by rental car on Mallorca. Ancient history, delicious food and fantastic buildings await you here. The history of Ses Salines dates back to the Bronze Age. It is located in the south of the Balearic island and has retained a lot of ambience and charm. Here you can experience the unspoilt Mallorca. The village of Felantix in the south-east of the island is similarly rural. You have to drive 50 kilometres by rental car from the island's capital Palma de Mallorca to here. But it is worth it: Here you will find great buildings such as the Casell de Santueri or the convent of San Salvador, which are many centuries old. On the way by rental car to your destination you will also find many beautiful places that invite you to a picnic and a short break. Alcúdia is one of the largest cities in Mallorca with more than 19,000 inhabitants. Whoever comes here with the rental car will not be disappointed. The old town has no shortage of sights. These include the Església de Sant Jaume and the Oratori de Santa Anna. The Cova de Sant Marti cave is also interesting. The natural cave was used as a secret place of worship during the early Christian period. 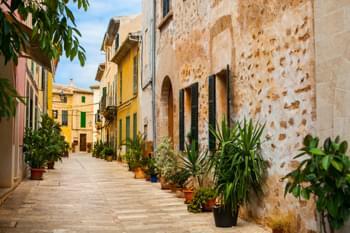 But even apart from the church buildings, the old town of Alcúdia attracts visitors with its Mediterranean charm. In cosy cafés and narrow alleys you can enjoy the city. During the warm summer nights, Alcúdia even offers live music in the restaurants and bars. Even the weather may be a convincing factor for holidays on the island. Due to its location in the Mediterranean Sea, Mallorca has a subtropical climate with an average of 7.9 hours of sunshine per day. This also means that it hardly rains in summer and the winters are very short and mild. Only in the rarest cases snowfall occurs. The weather conditions in winter, very calm and windless, are called calmes. These so-called small summers lead to the fact that the almond blossom already begins in January and makes the island appear in a beautiful picture. In this sense, a round trip with a rental car along the almond trees is an ideal winter retreat. 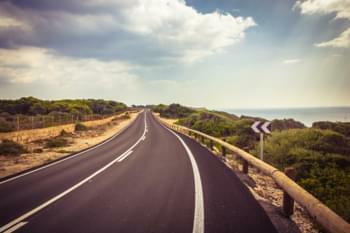 Which car rental companies are there in Mallorca? Would you like to rent a car directly at Mallorca Airport? The Car Rental Check Price Comparison helps you to find the right offer. Palma de Mallorca airport is the island's international hub. The last 23 million passengers travelled here in 2015, including many tourists for whom Mallorca Airport is the gateway to the holiday world of the Balearic Islands. From here you can explore the island by borrowed car, enjoy a beach holiday and relax. Would you like to rent a convertible on Mallorca? 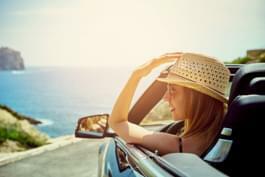 No problem: Convertible cars can be rented on Mallorca at many car rental companies - for example in Palma de Mallorca, Cala Millor or Alcúdia. Convertibles from VW, Renault and Fiat are available there. Mini Cooper convertibles are also sometimes available for hire in Mallorca.